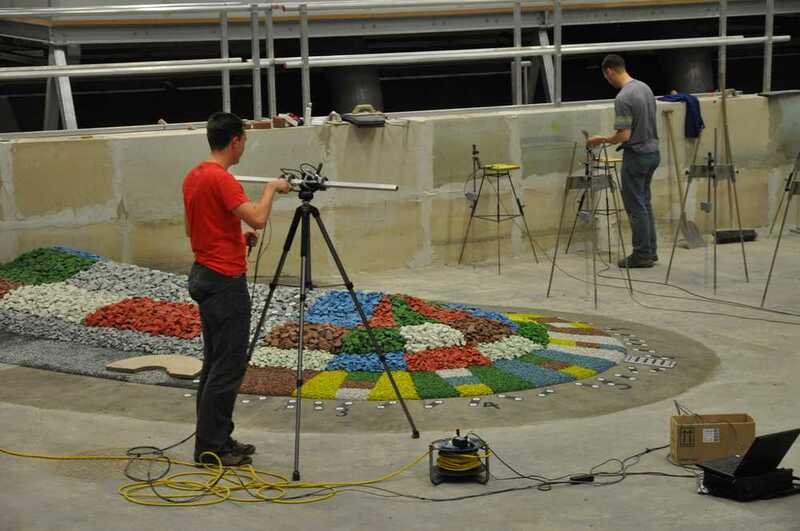 During consultancy work involving physical modelling, Deltares conducts advanced measurement techniques to investigate physical processes and for the purposes of 2D and 3D numerical software validation. We use the instruments regularly ourselves, constantly improving them so they are accurate, robust and easy to use. We are making the leap from point measurements to surface measurements and 3D velocity vectors in a plane because flow structures are inherently multi-dimensional. Our latest developments involve bringing measurement techniques for small-scale, academic applications to the large experimental facilities with actual structures. We are working with 3D Particle Image Velocimetry in wave and multiphase pipe flows, measuring entire velocity fields with three velocity components. Laser scanners are being used to measure changes in bathymetry and damage to structures such as breakwaters. We also use laser scanning to track wave-front propagation over high-gradient bathymetries and close to structures. Deltares is also involved with using the data and finding ways in which the improved measurements can also lead to better answers to current questions (including questions in the public sphere). Our stereo photography technology can be used to measure bathymetries and structures that pierce a water surface. This allows measurements to be taken without having to drain the basin after each test. A laser scanner can also be used to measure water elevation over a line with high spatial resolution. We can measure water elevations in small-scale flumes over more than 10 metres and we can measure the wave run-up, including the flow depths of the run-up tongue, in large-scale flumes.